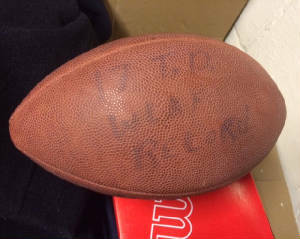 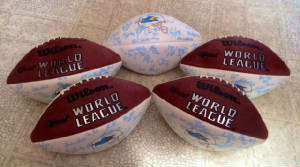 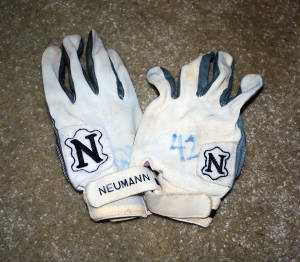 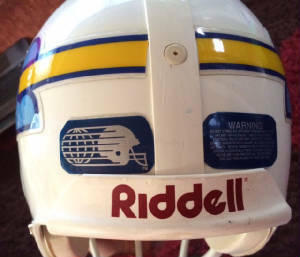 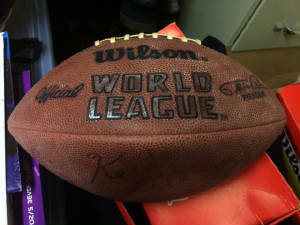 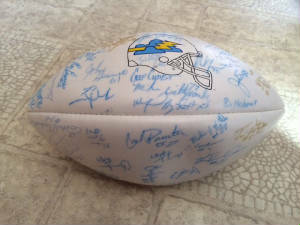 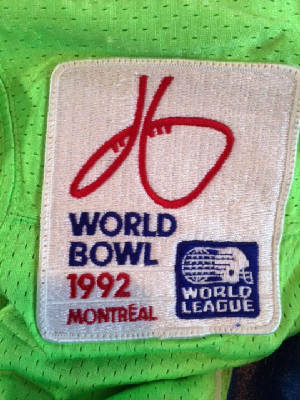 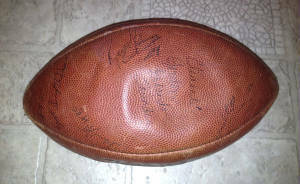 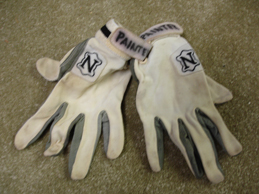 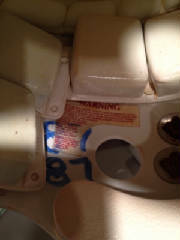 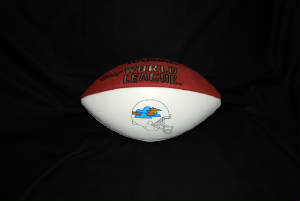 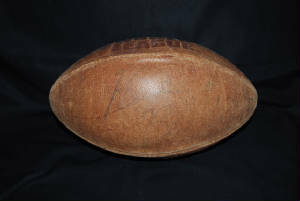 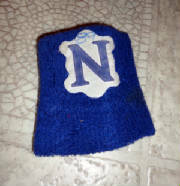 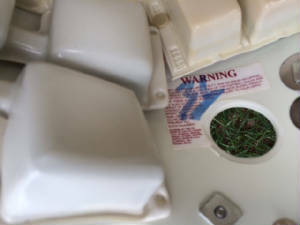 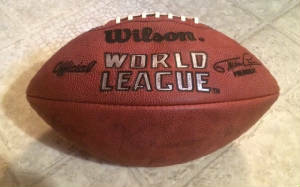 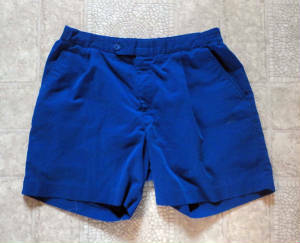 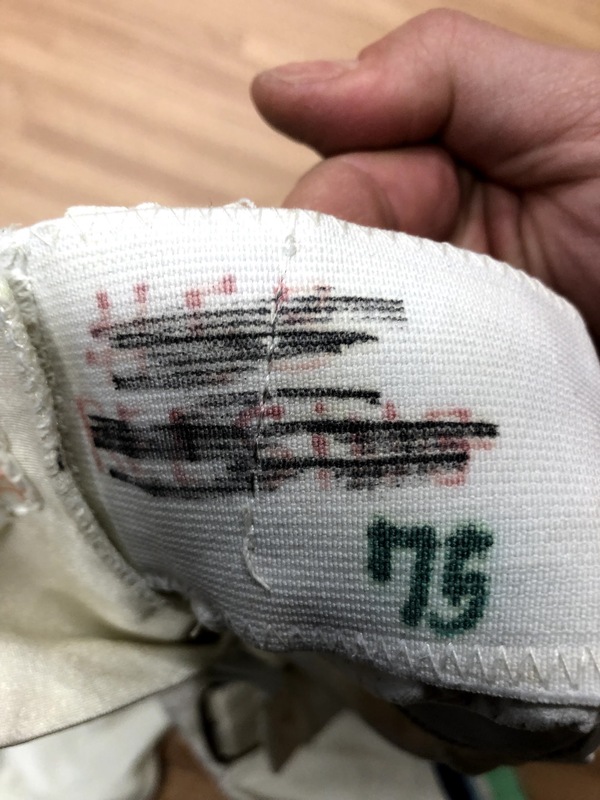 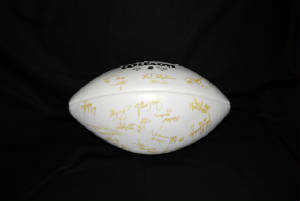 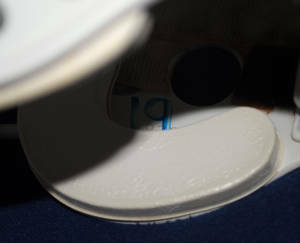 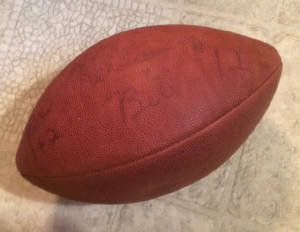 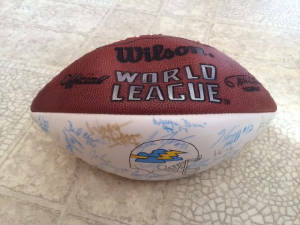 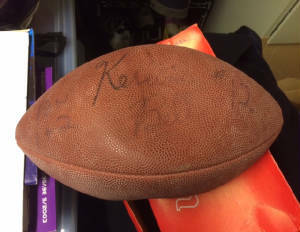 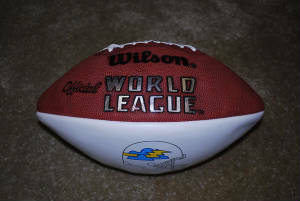 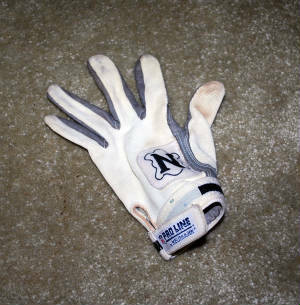 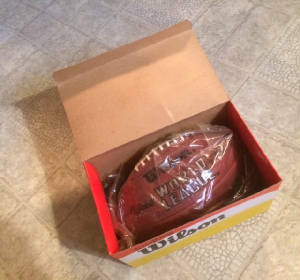 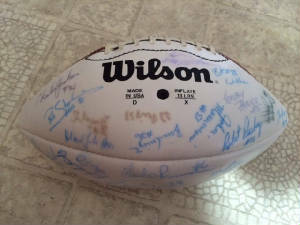 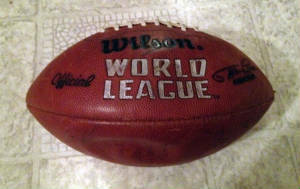 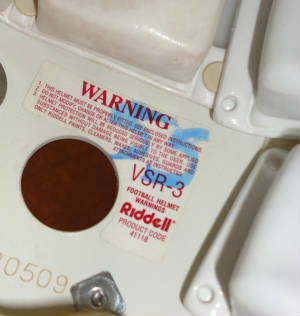 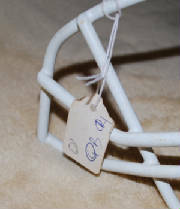 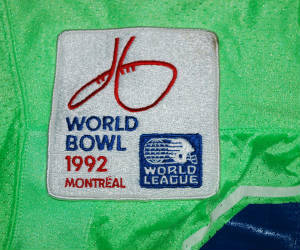 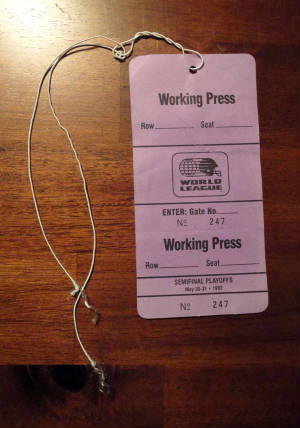 1991 WLAF Game Used Ball which must have been used in pre-season or during practice because of some fo the players that signed it did not play in the regular season. 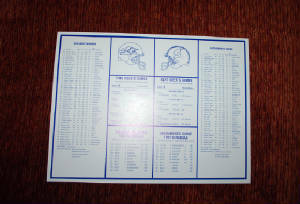 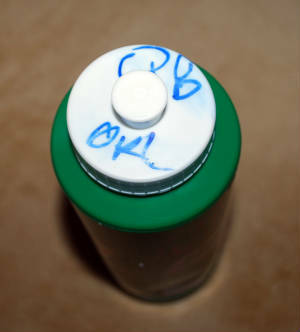 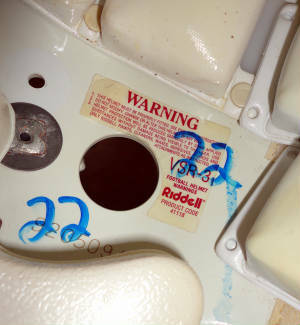 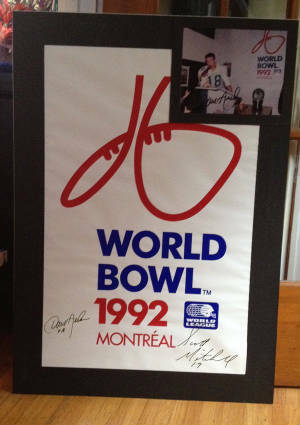 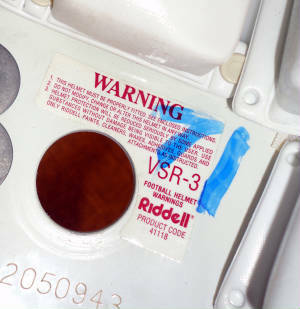 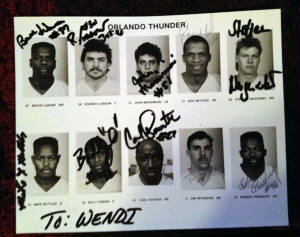 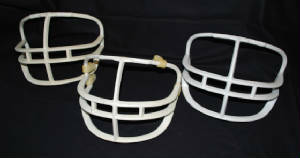 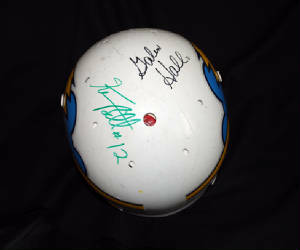 signed by D. Smith RB, C. Gordon QB, S, Williams DB, C. Painter RB & #29? 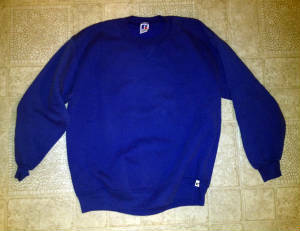 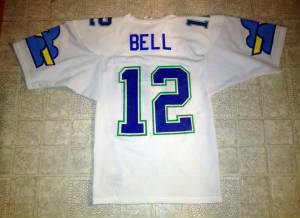 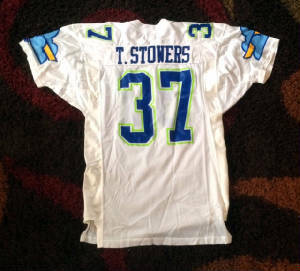 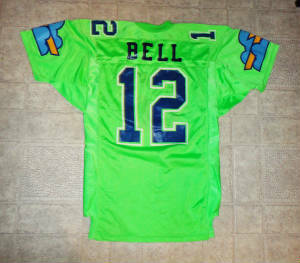 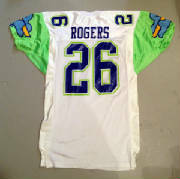 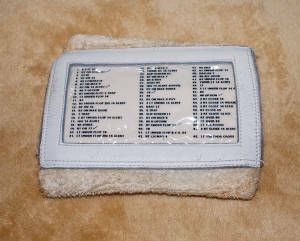 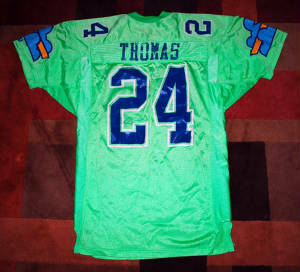 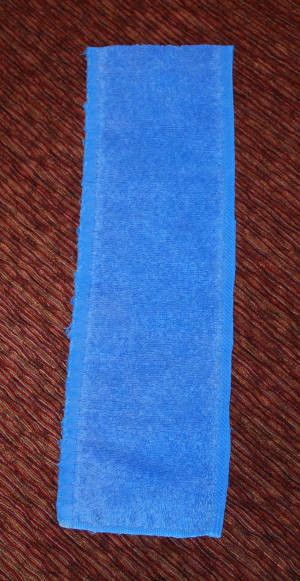 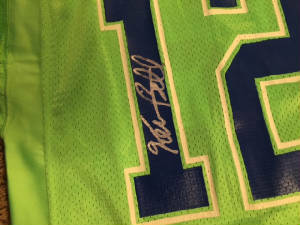 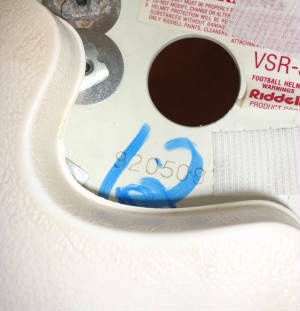 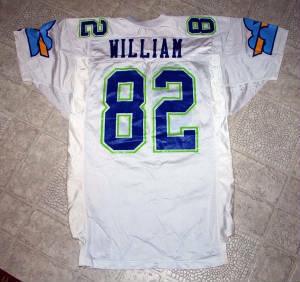 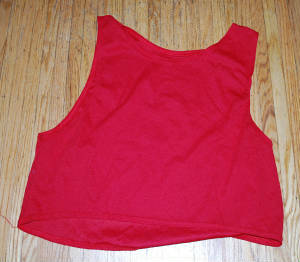 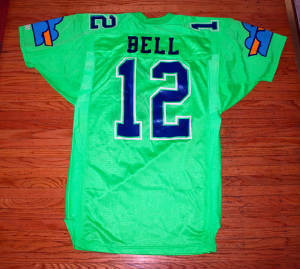 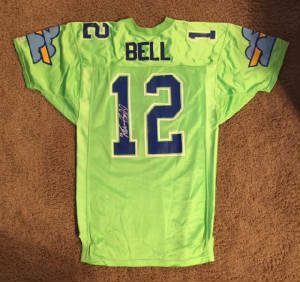 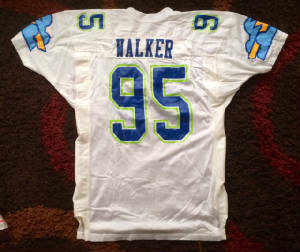 Williams Jersey (back) missing the "S"
Ultra Rare!!!! 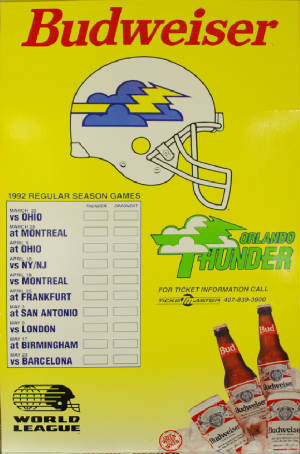 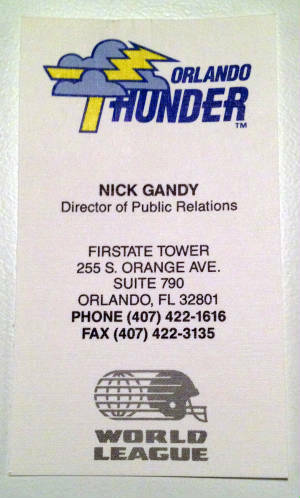 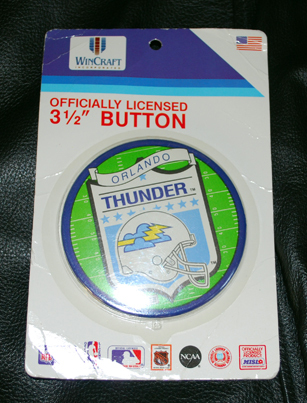 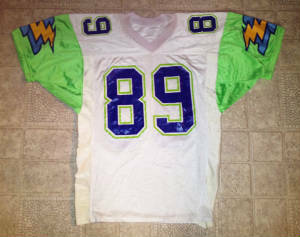 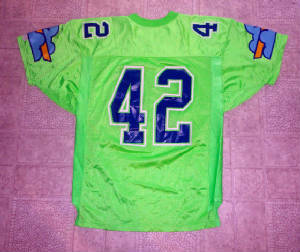 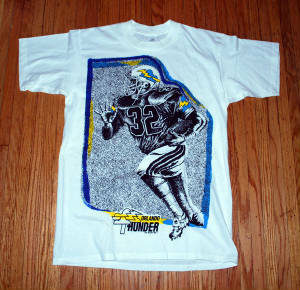 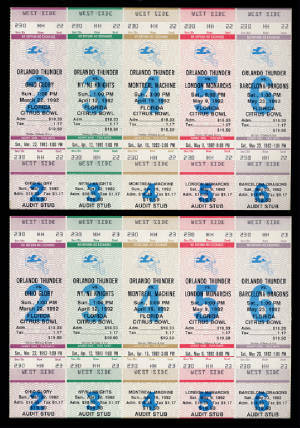 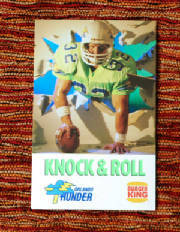 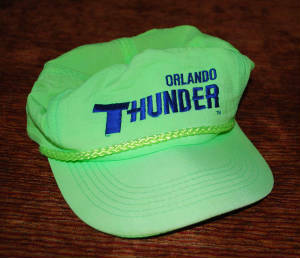 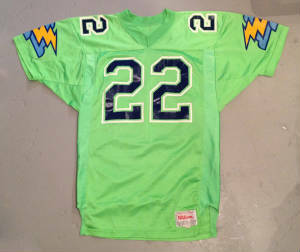 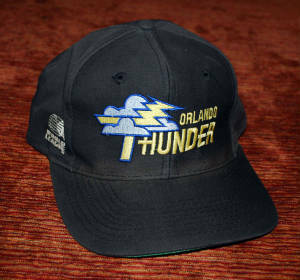 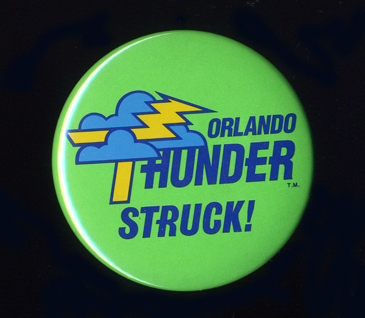 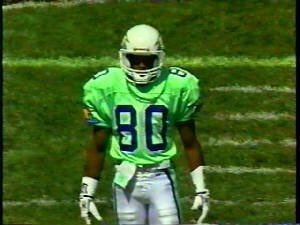 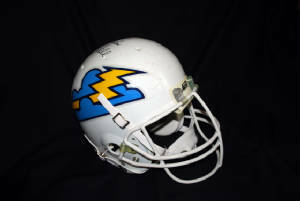 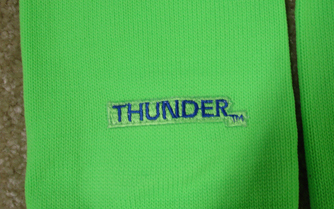 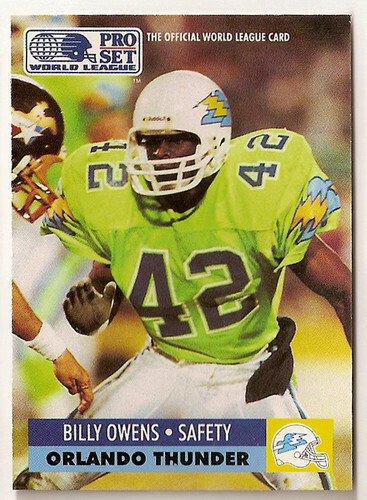 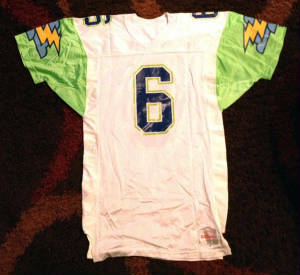 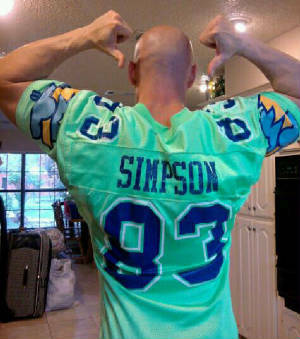 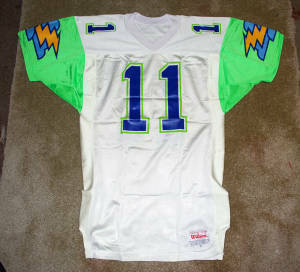 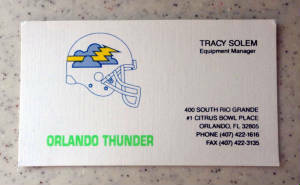 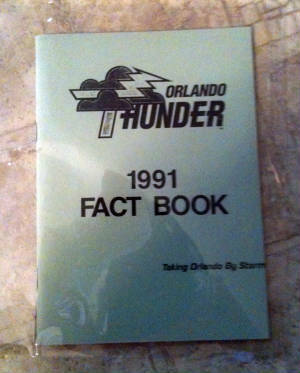 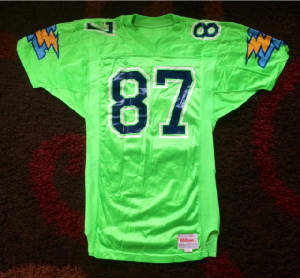 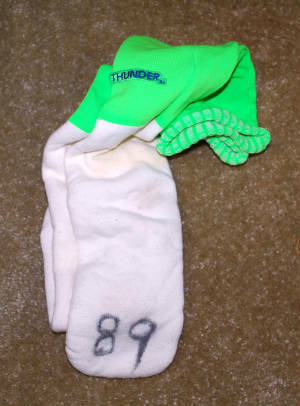 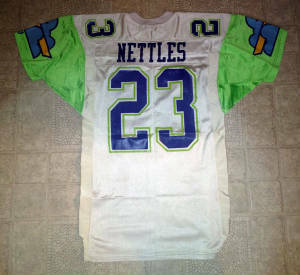 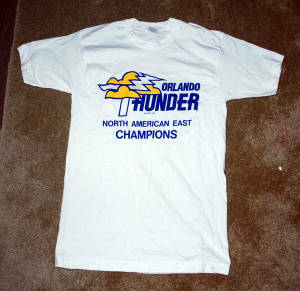 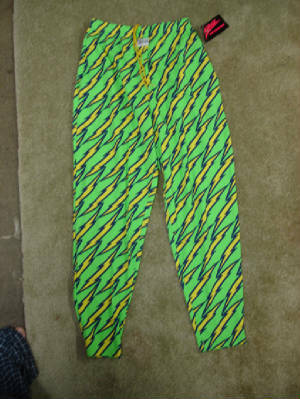 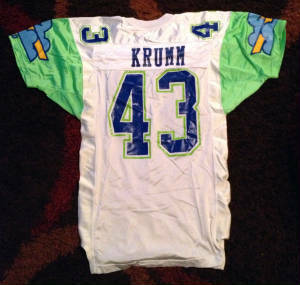 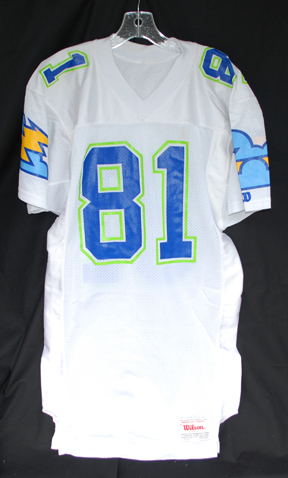 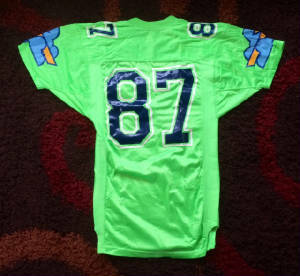 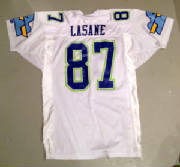 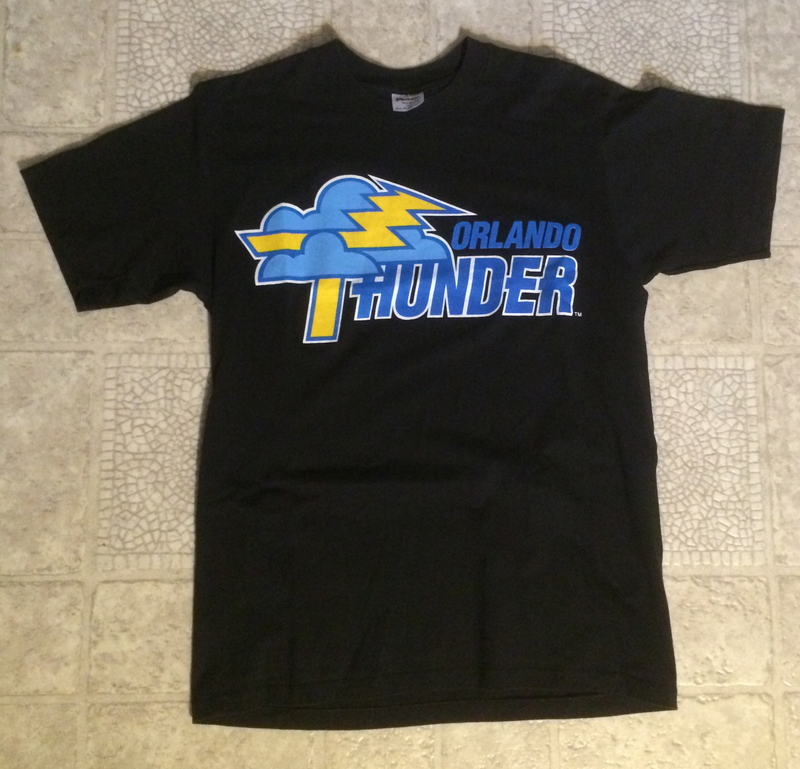 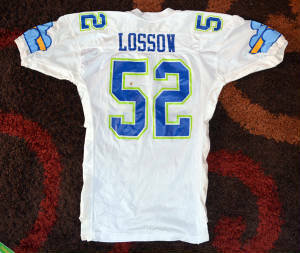 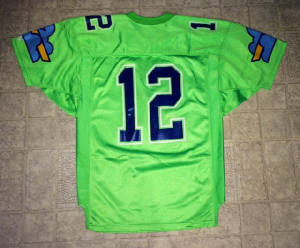 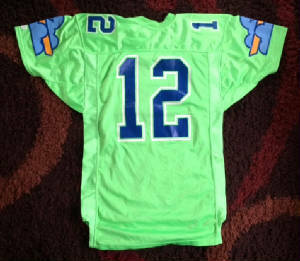 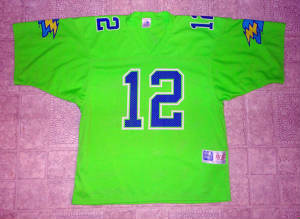 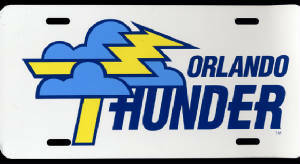 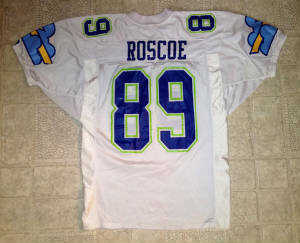 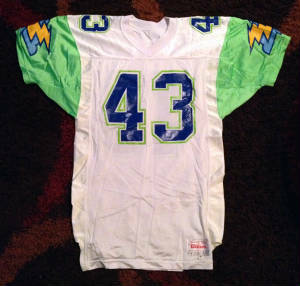 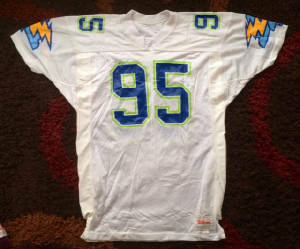 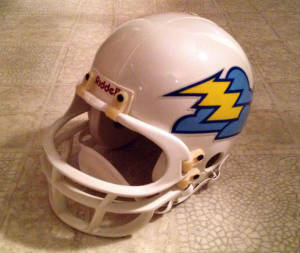 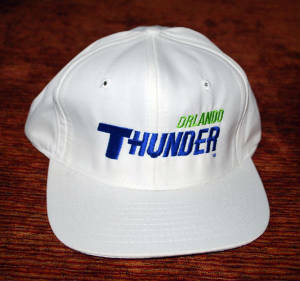 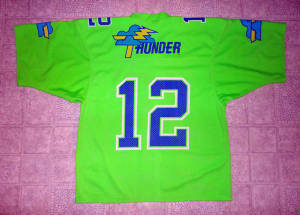 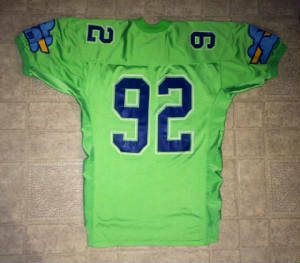 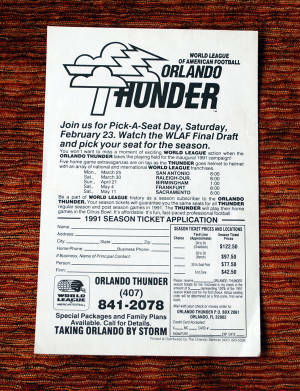 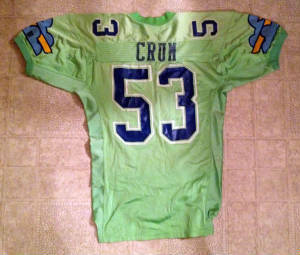 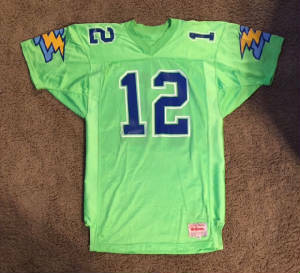 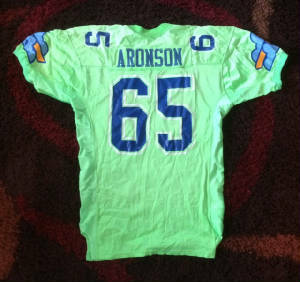 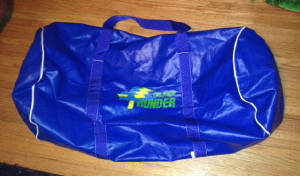 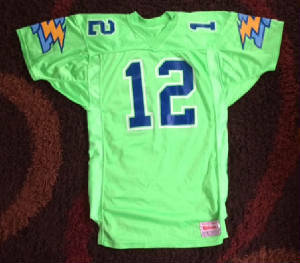 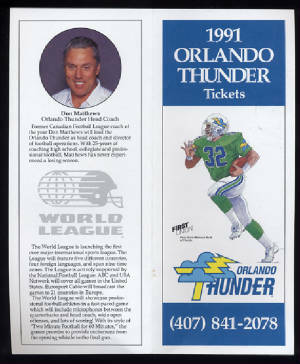 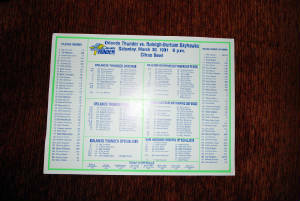 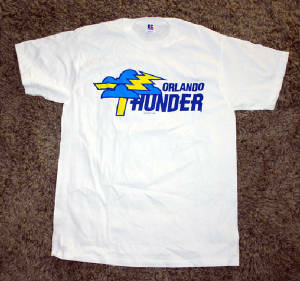 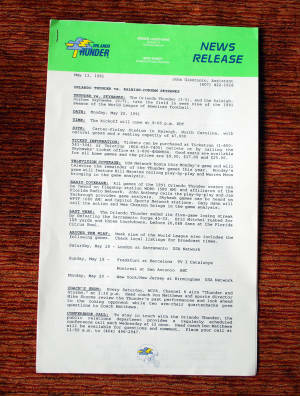 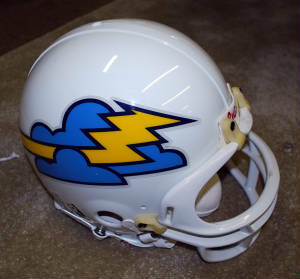 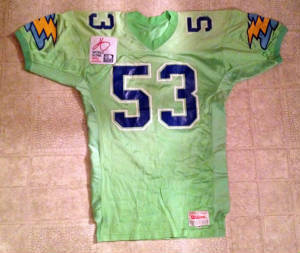 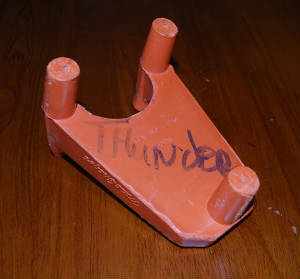 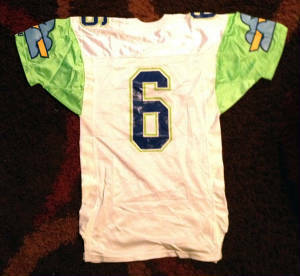 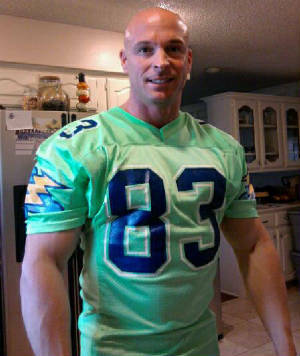 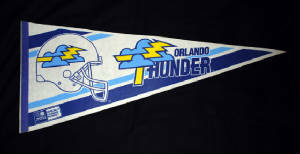 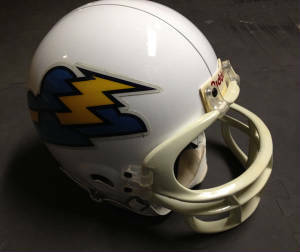 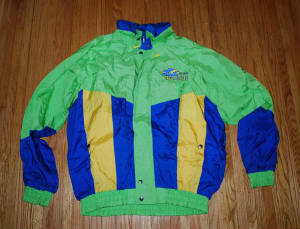 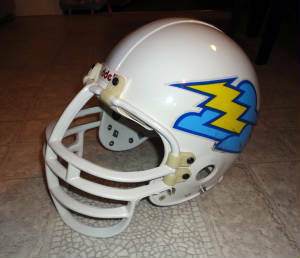 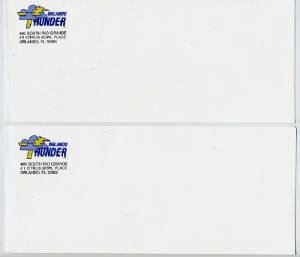 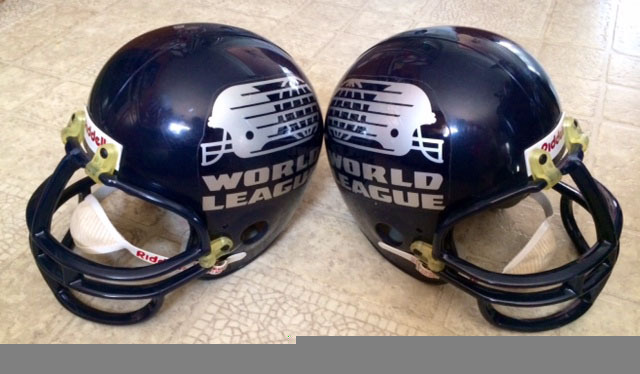 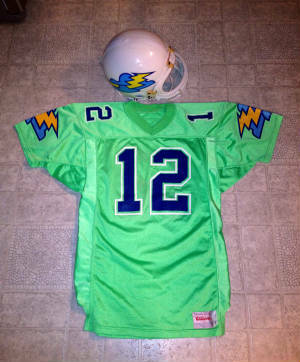 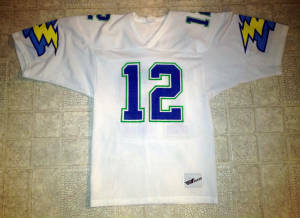 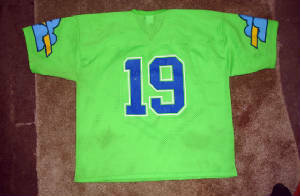 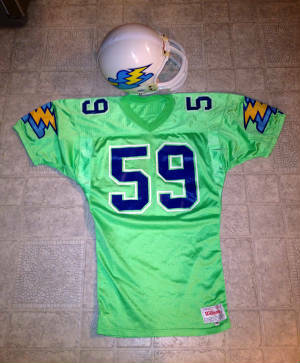 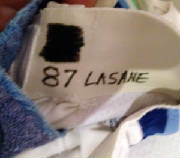 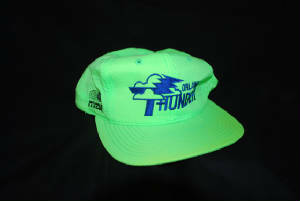 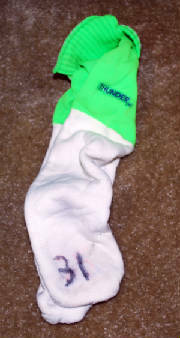 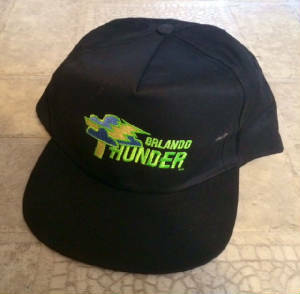 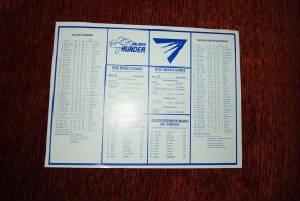 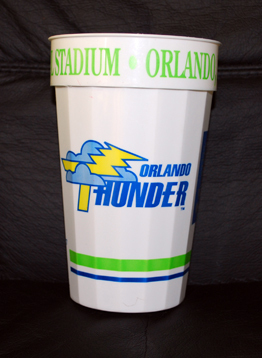 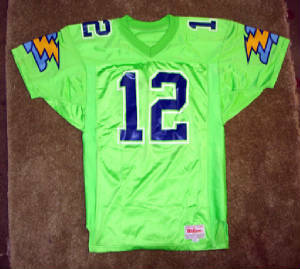 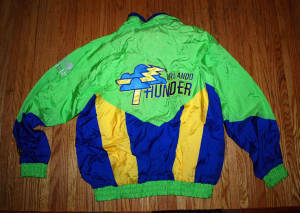 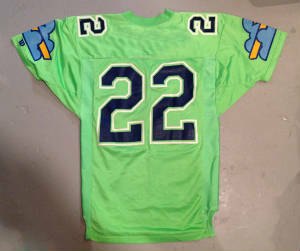 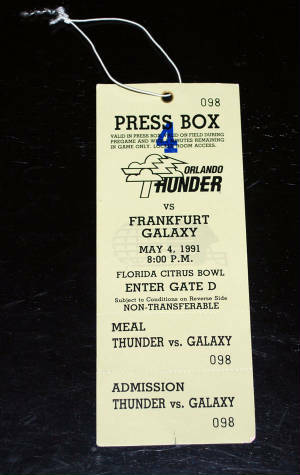 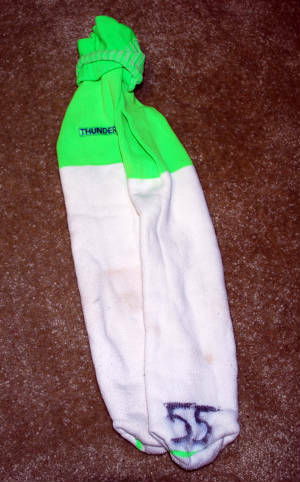 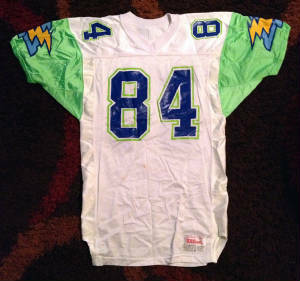 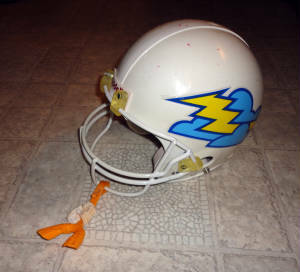 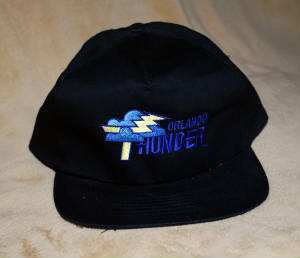 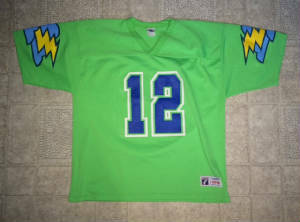 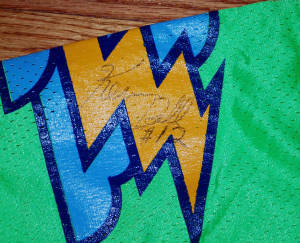 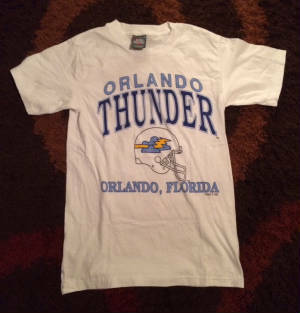 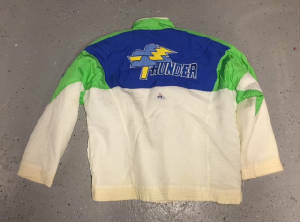 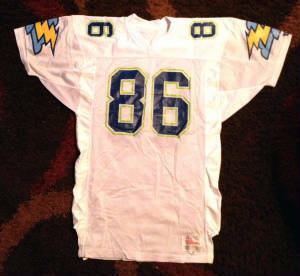 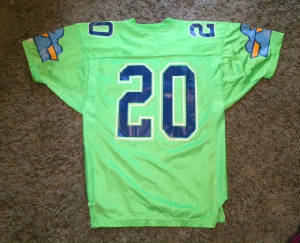 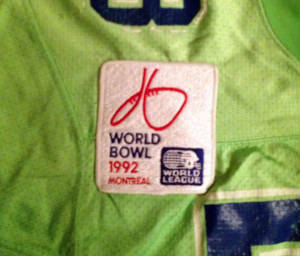 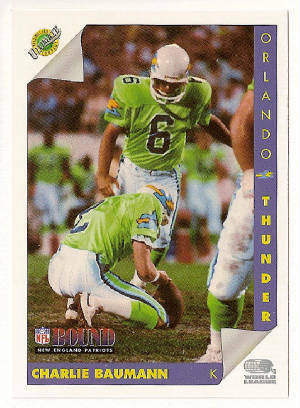 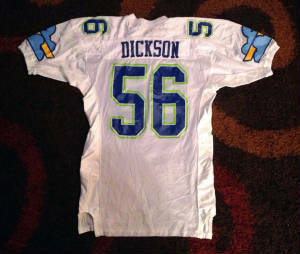 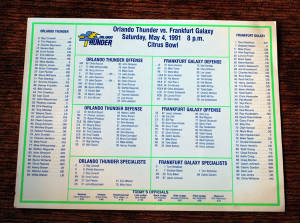 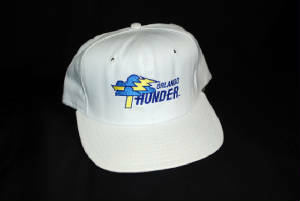 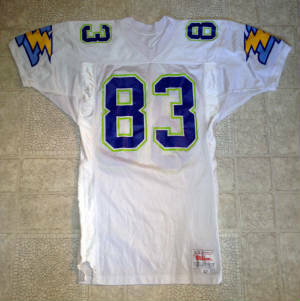 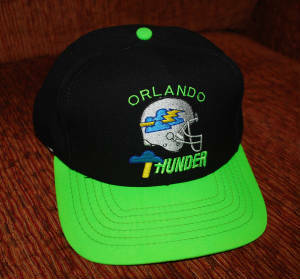 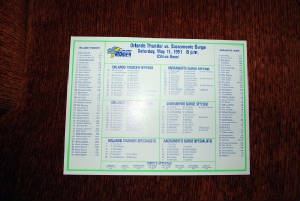 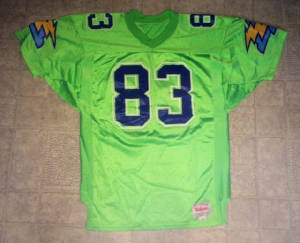 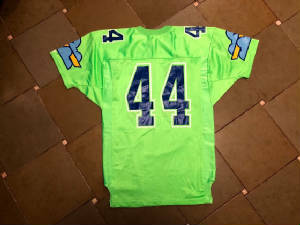 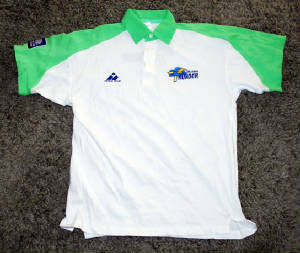 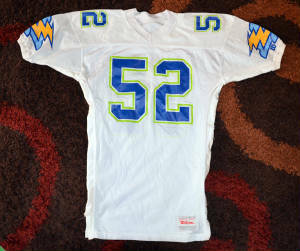 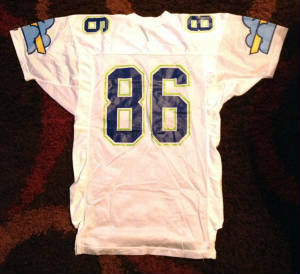 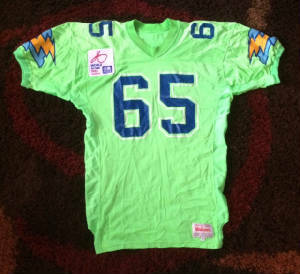 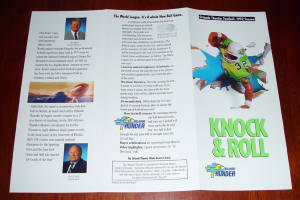 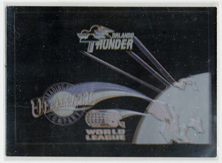 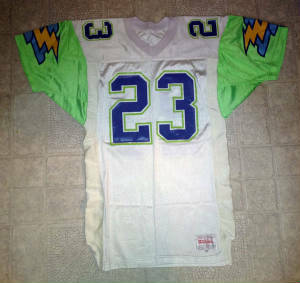 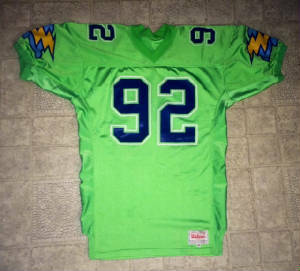 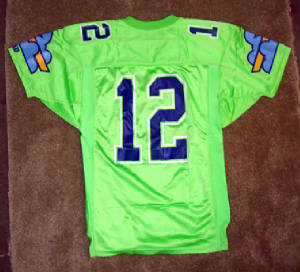 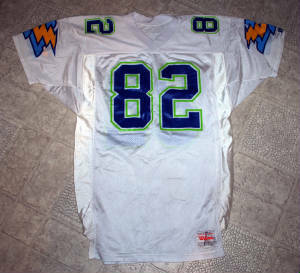 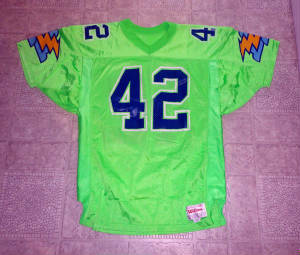 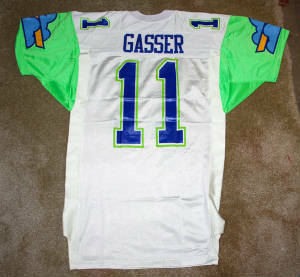 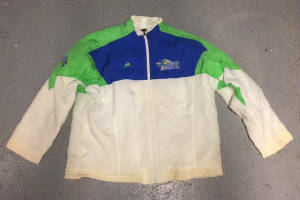 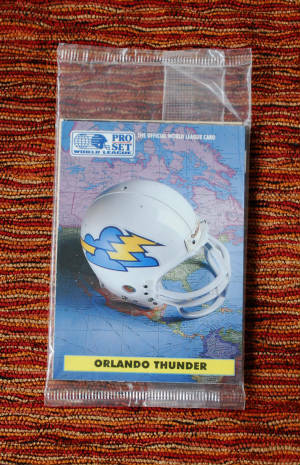 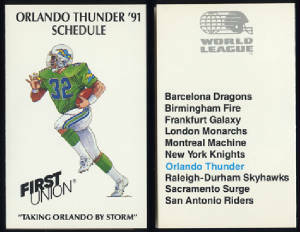 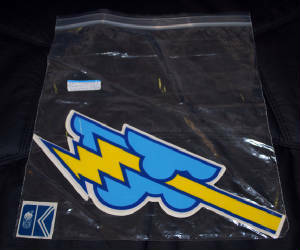 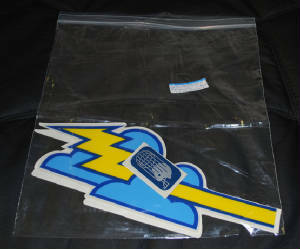 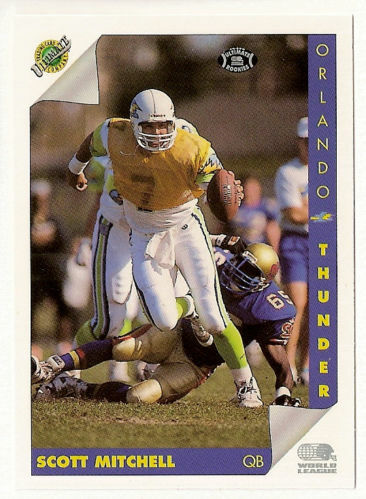 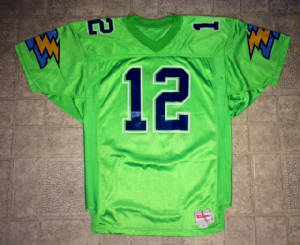 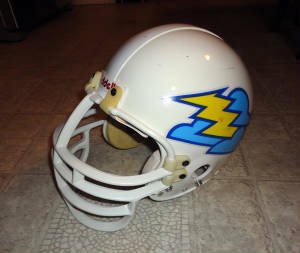 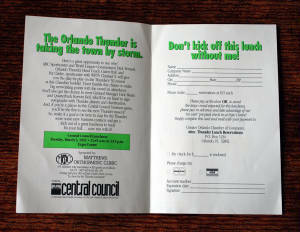 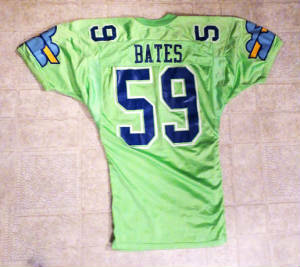 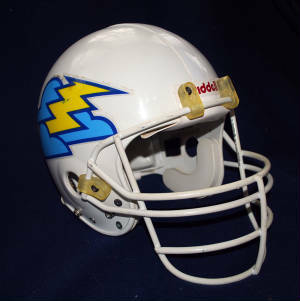 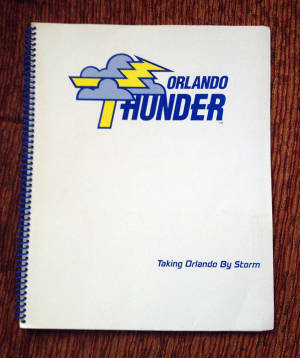 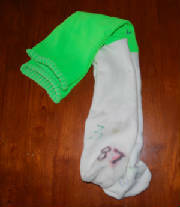 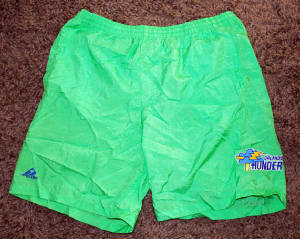 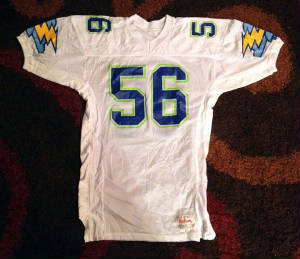 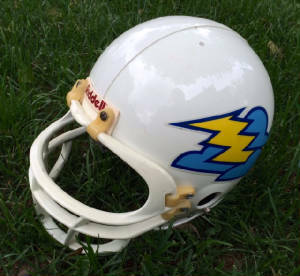 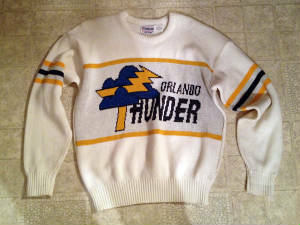 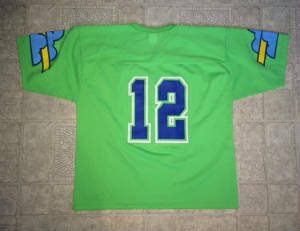 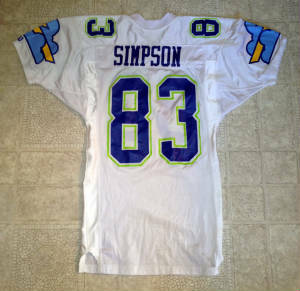 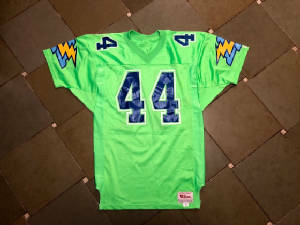 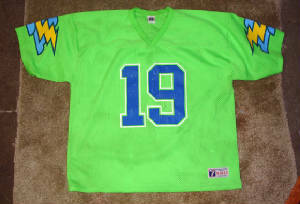 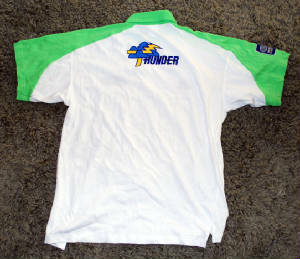 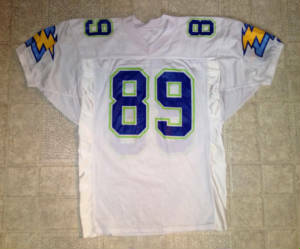 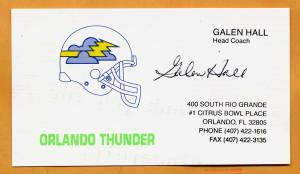 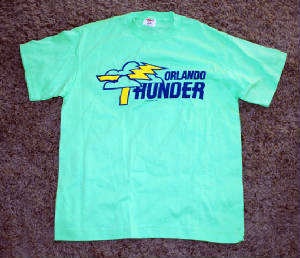 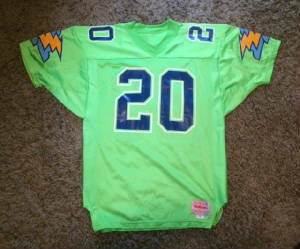 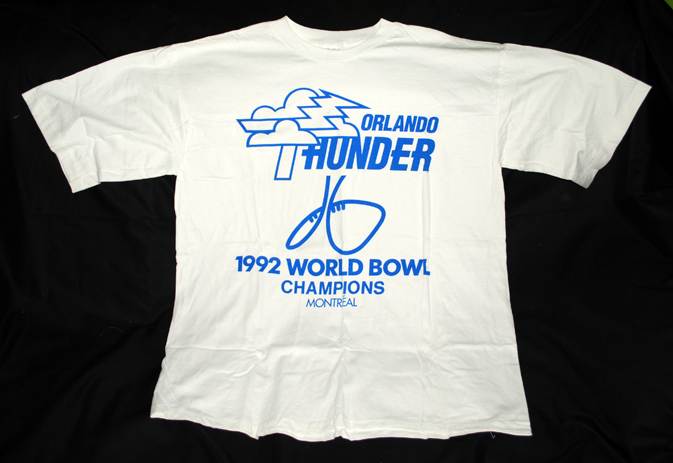 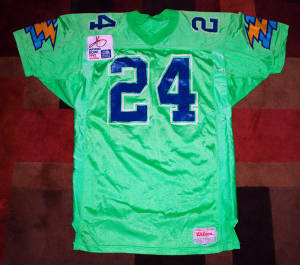 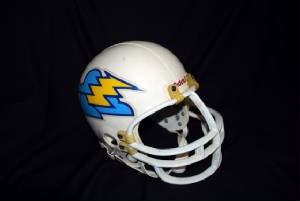 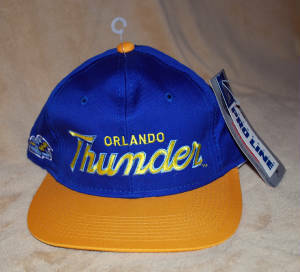 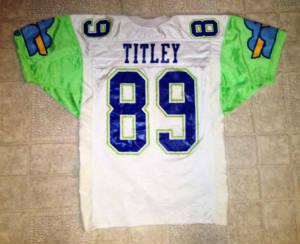 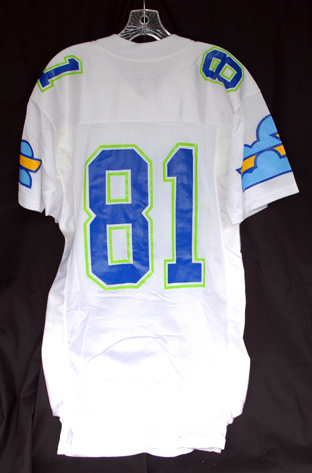 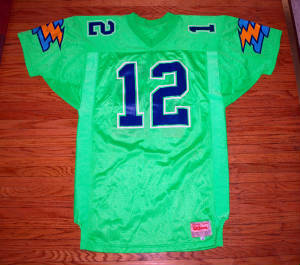 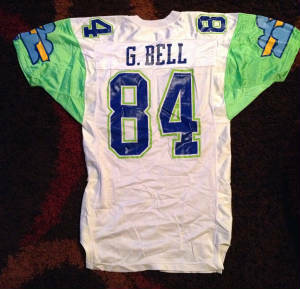 A full 1991 Orlando Thunder Away Uniform for #87 Bruce Lasane WR. 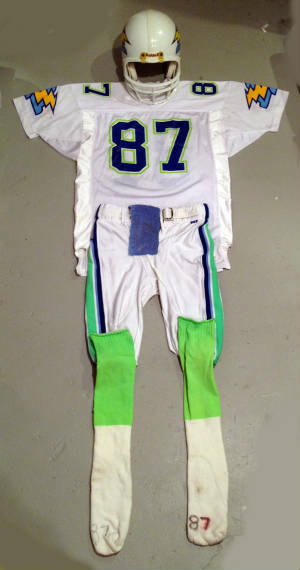 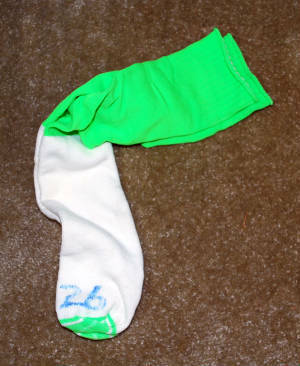 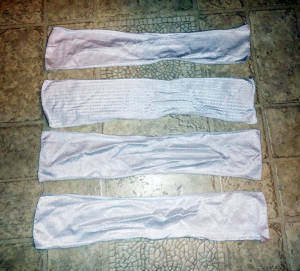 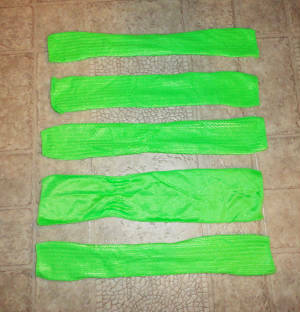 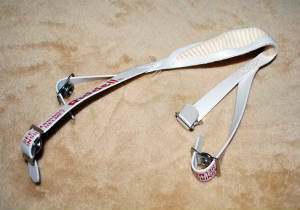 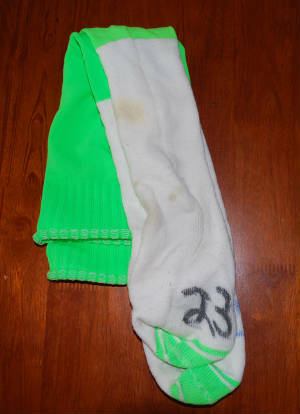 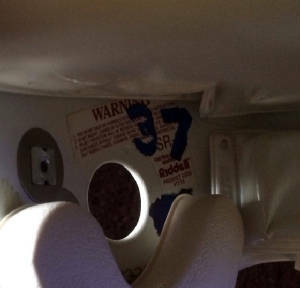 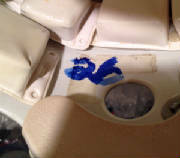 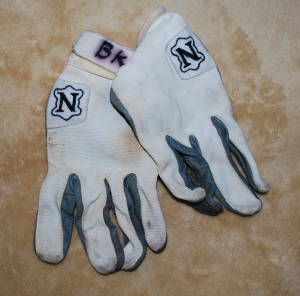 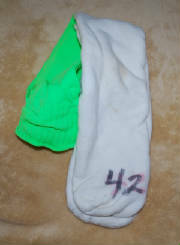 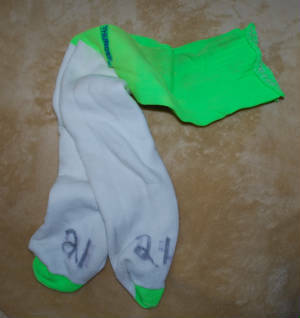 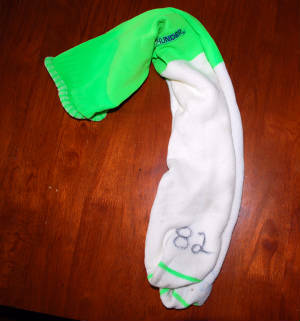 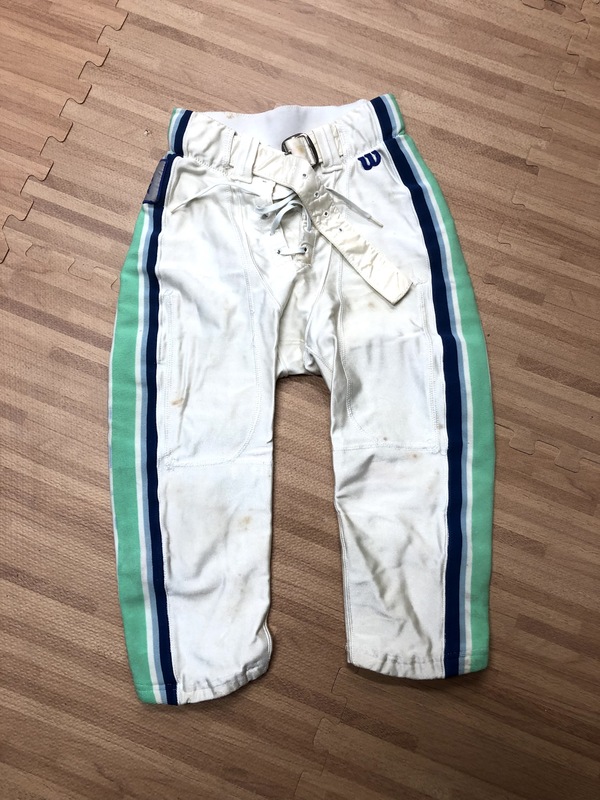 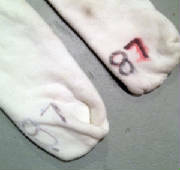 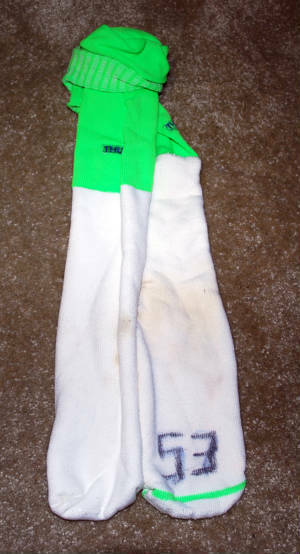 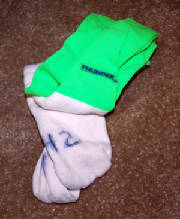 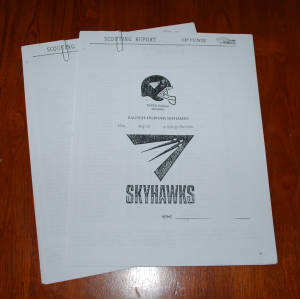 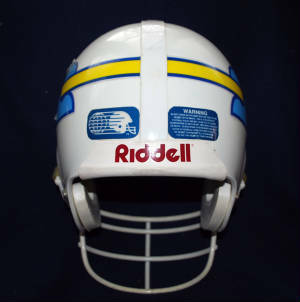 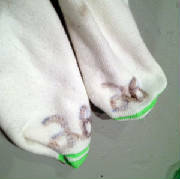 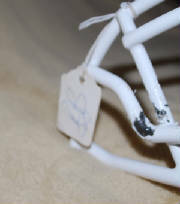 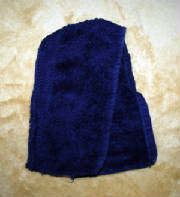 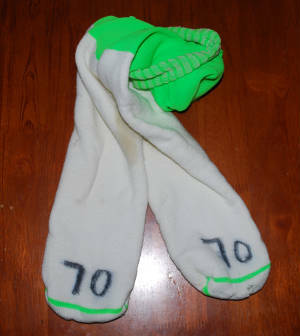 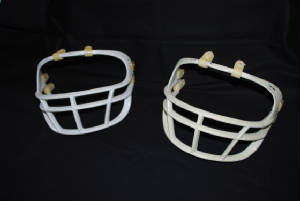 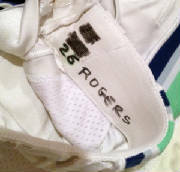 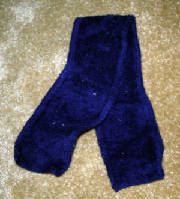 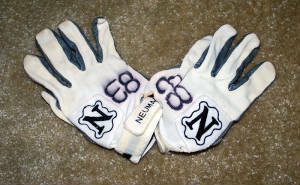 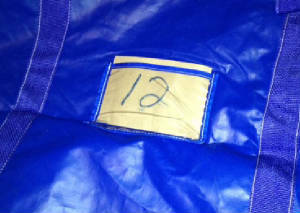 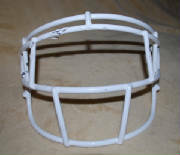 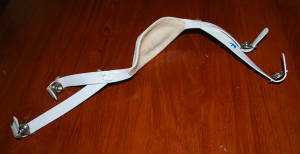 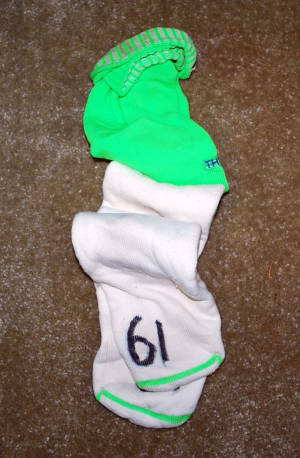 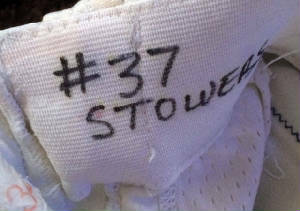 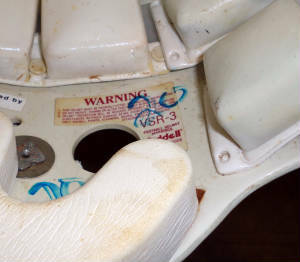 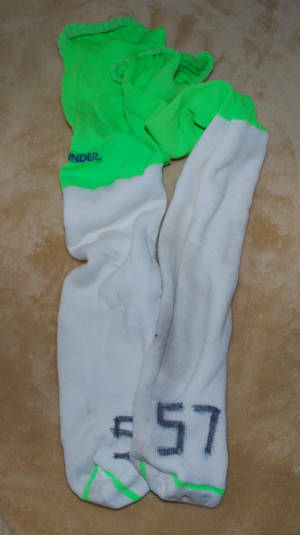 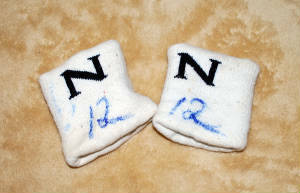 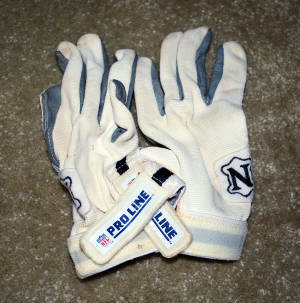 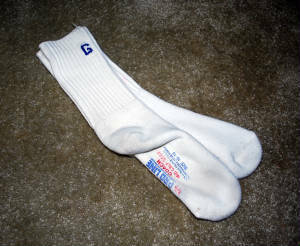 It is almost impossible to find the helmet, jersey, pants and socks (x2) for one player! 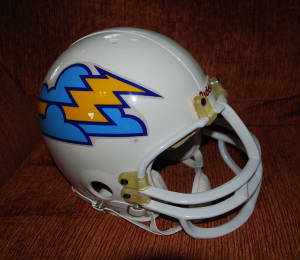 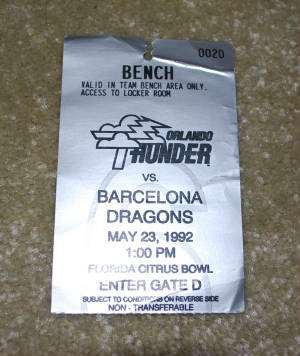 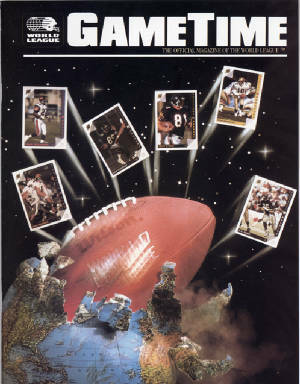 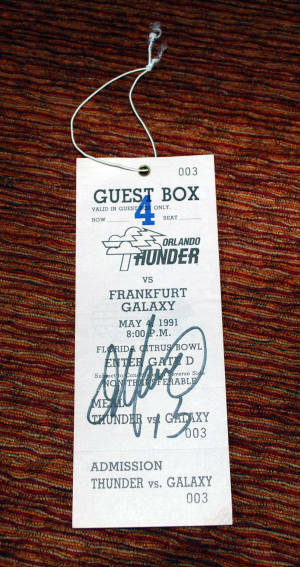 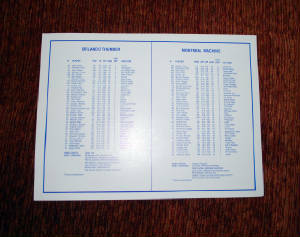 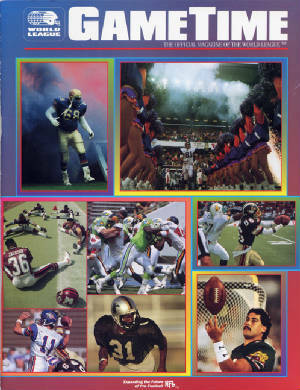 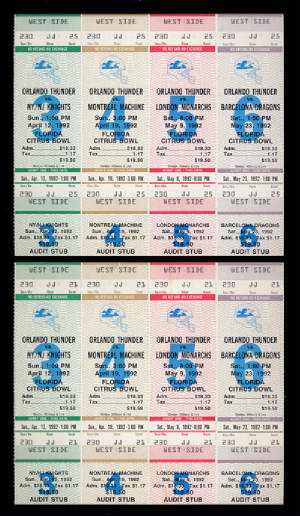 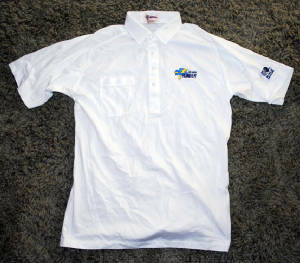 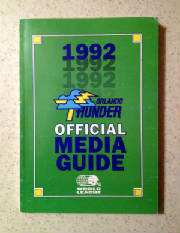 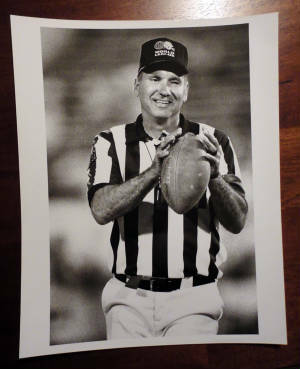 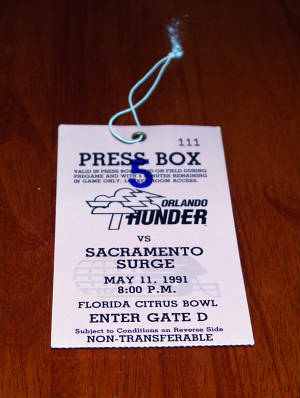 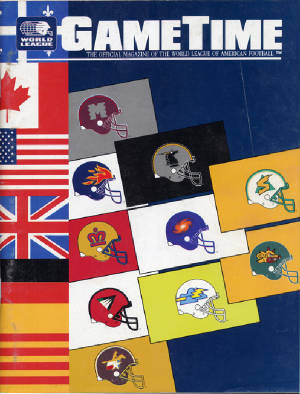 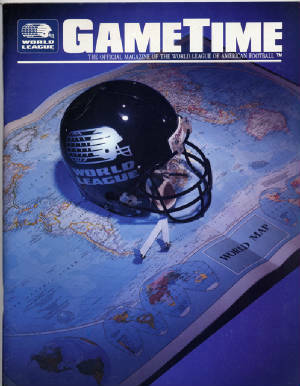 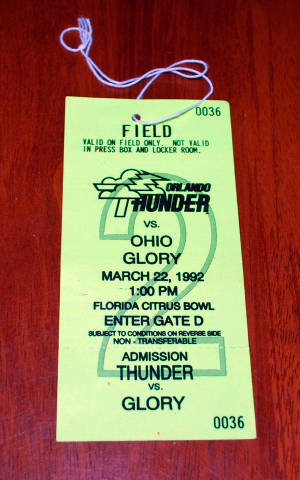 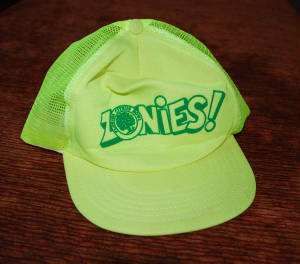 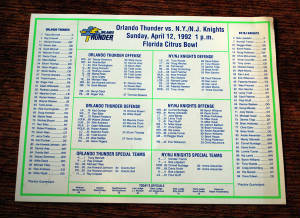 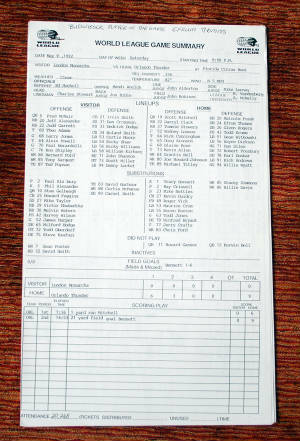 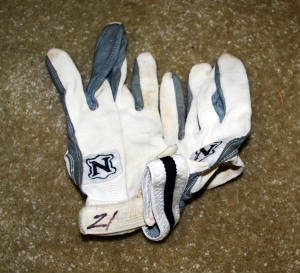 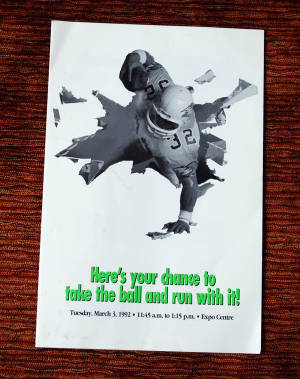 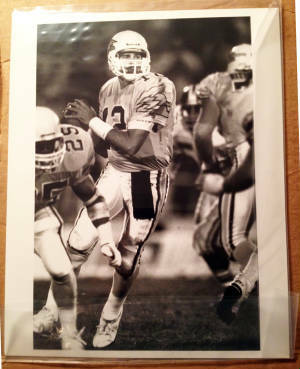 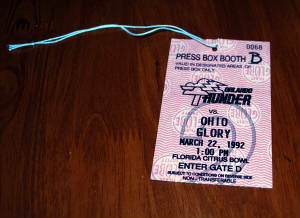 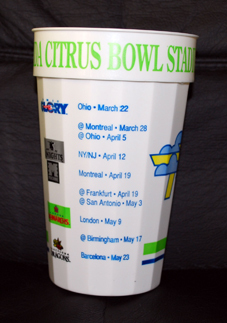 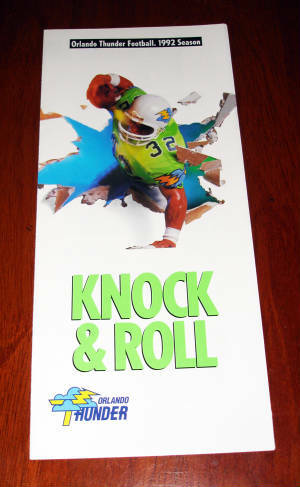 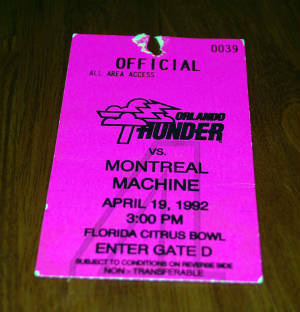 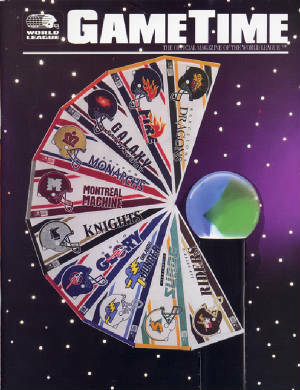 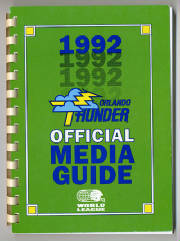 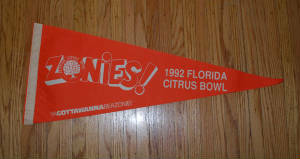 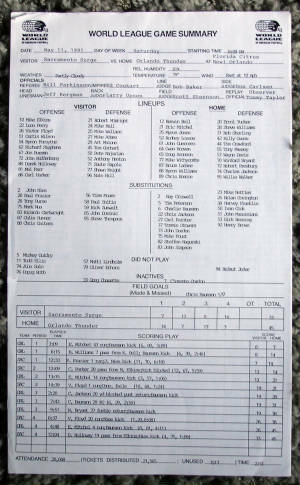 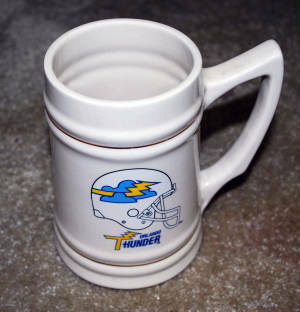 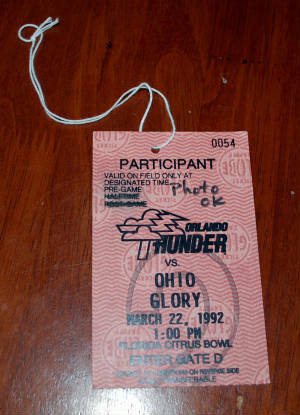 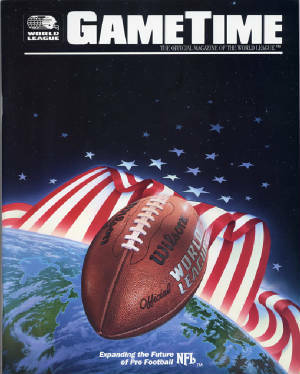 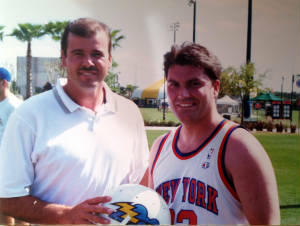 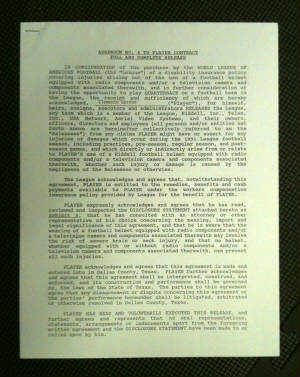 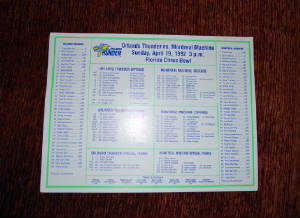 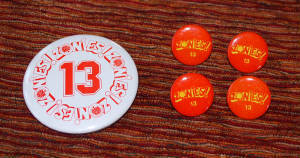 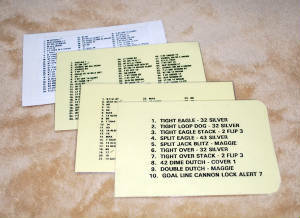 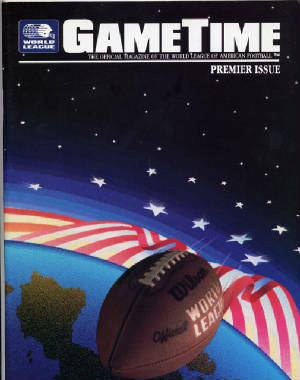 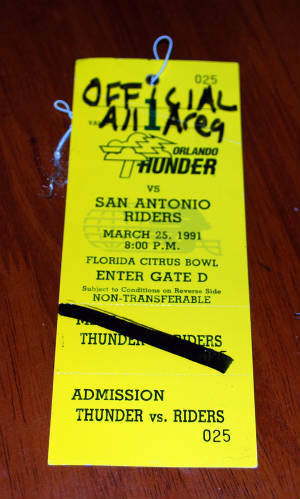 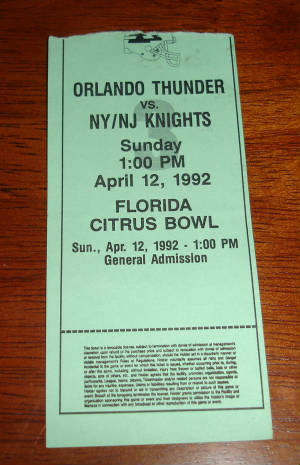 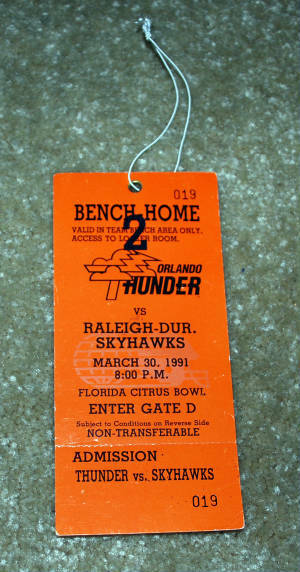 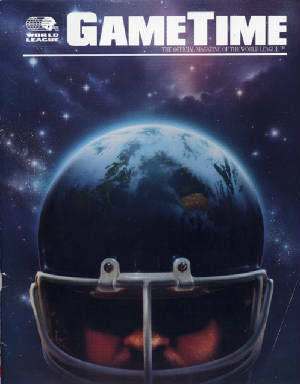 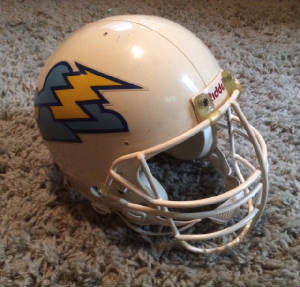 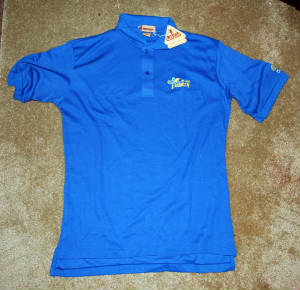 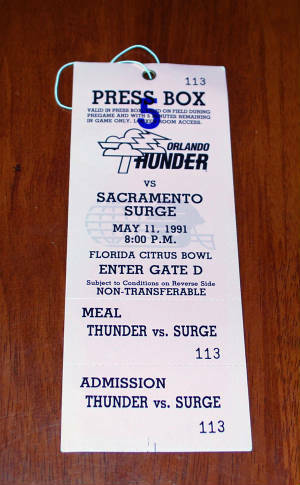 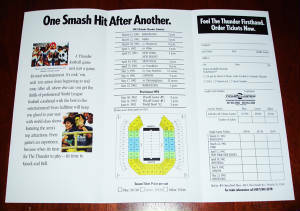 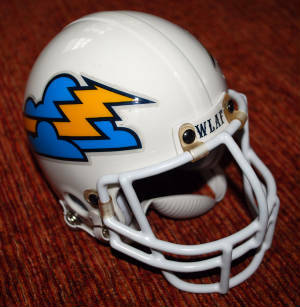 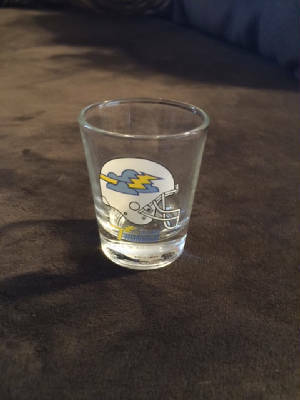 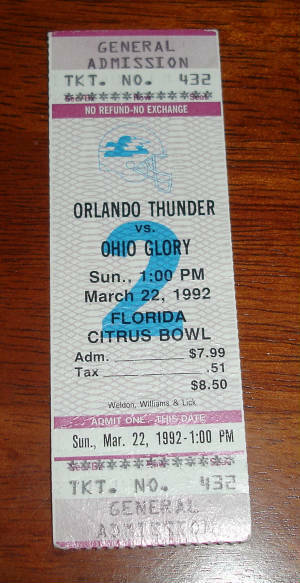 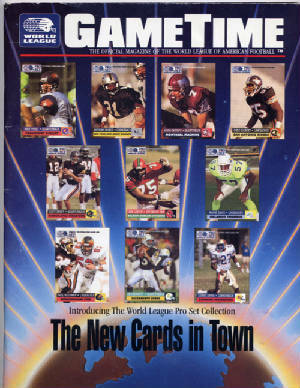 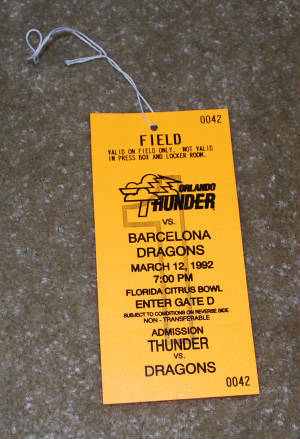 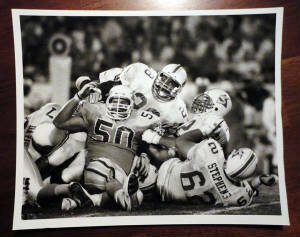 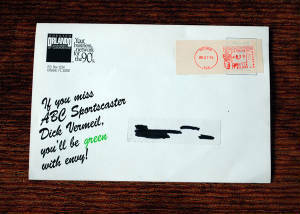 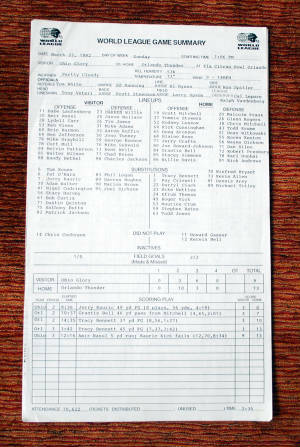 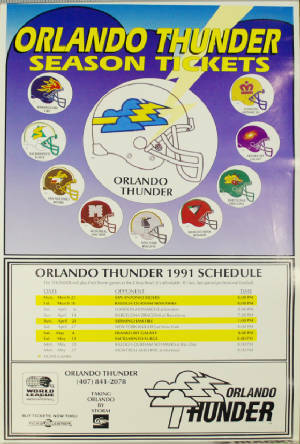 In 1992, the Zonies celebrated their 13th anniversary at the Florida Citrus Bowl. 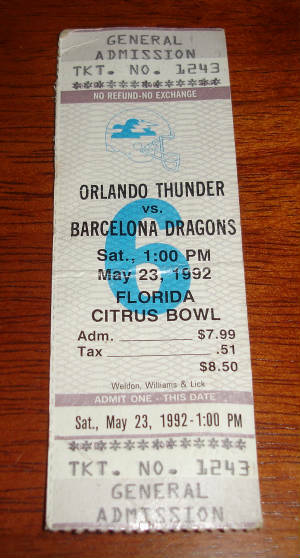 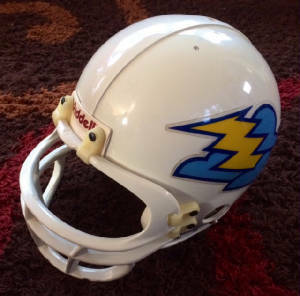 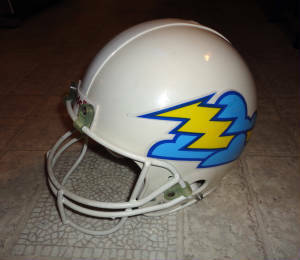 I am not totally sure the history of the Zonies but a guess would suggest that they were the fans who sat in the one endzone since the other endzone was open with the scoreboard and water behind it.